Product prices and availability are accurate as of 2019-04-21 04:20:32 EDT and are subject to change. Any price and availability information displayed on http://www.amazon.com/ at the time of purchase will apply to the purchase of this product. Add a touch of rustic elegance to your home with this modern farmhouse fireplace mantel shelf! An open fireplace is a warm and wonderful element of any home but the mantel is the focal point of the whole room. Each of our rustic fireplace mantels is individually crafted in Pennsylvania using real American wooden beams that will enhance any decorating style. Bring a natural accent to your living room, dining room, office or bedroom and add to your decor by displaying your favorite kitchenwares, heirlooms, photos and more. 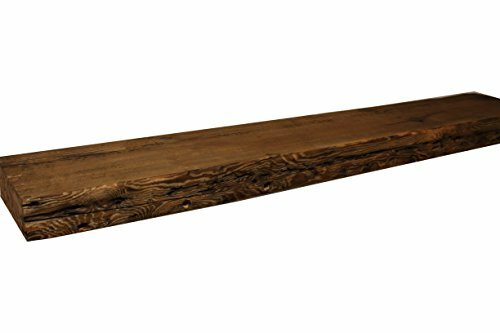 We proudly source all our wood locally so you can be sure that each wooden fireplace mantel shelf has been crafted from American barns or houses dating back to the 1700s. 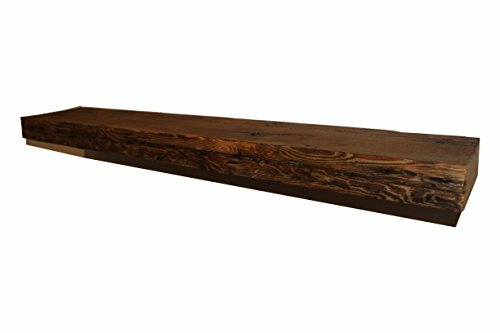 Because every piece of wood is unique, your floating shelf rustic wood mantel will have its own distinctive character depending on the species of wood, weathering, saw markings and more. To give it an even more distinguished look, we finish each beam with a boiled linseed oil. Included hardware makes it super easy to mount and securely attach to the wall (additional hardware may be needed). Ordering more than one? Please reach out to us and we will do our best to create matching pieces for you. The Fireplace Mantel Shelf is a stock item. The one you see is not necessarily the one you will receive. They will be highly similar, but different characteristics. 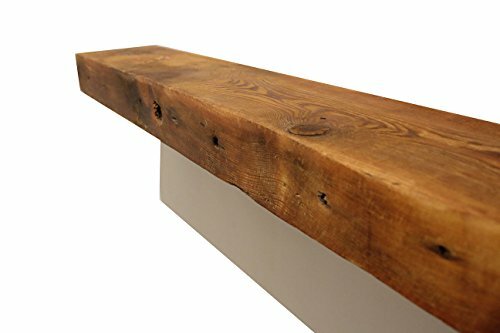 Authentic reclaimed barn wood mantel shelf. Each piece is between 100 and 250 years old! 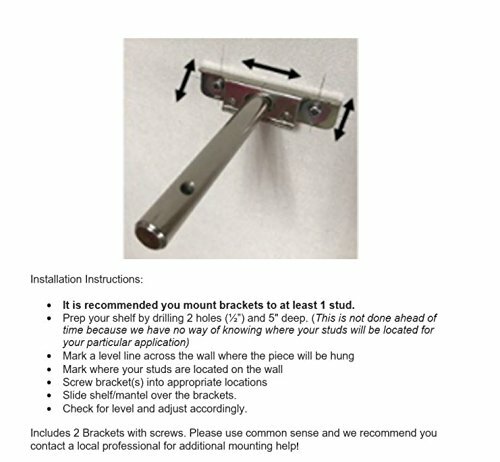 French Cleat mounting hardware is INCLUDED with your purchase. There is a self leveling system included with the hardware Finished with a low gloss tung oil. Each piece will appear slightly different due to age, type of wood, weathering and previous applications. If you order more than one we will do our best to match if requested. We will also make any custom piece for you, simply contact us!